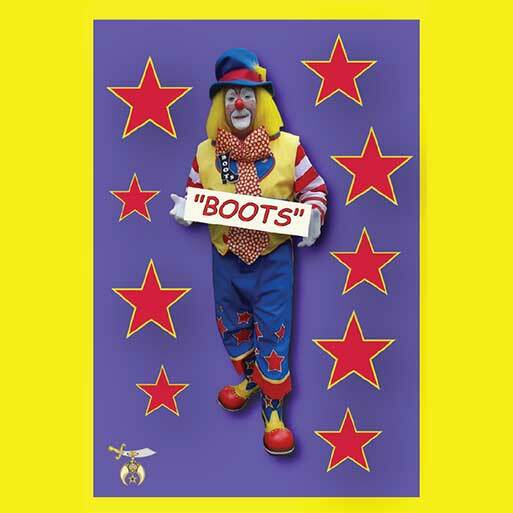 Boots was once asked by the most recognizable of all Clowns in the world, “Ronald McDonald” at a parade "Boots why did you become a Clown?" I begin to tell him the story of my wife Michelle and her battle with cancer, which she eventually lost, and how sick she became with it, and how sick one of my Boy Scouts had become around that same time, and how she needed to help his family. With all the time the parents were spending at the hospital, this left little time at home for meals for the others, so she had me load her in the car as sick as she was, and drive her to the store and buy groceries for this boy's family, so they could have meals to eat. That little bit of help brought the largest smile to everyone faces that day. The lesson I learned was it doesn't matter how bad your day is, or going, somebody has it far worse than you will ever have it, and that's why I became a Clown!